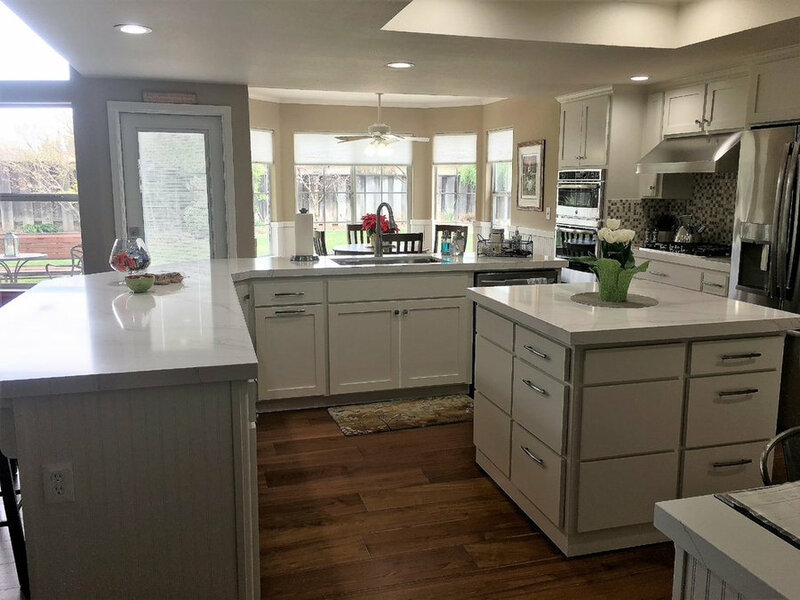 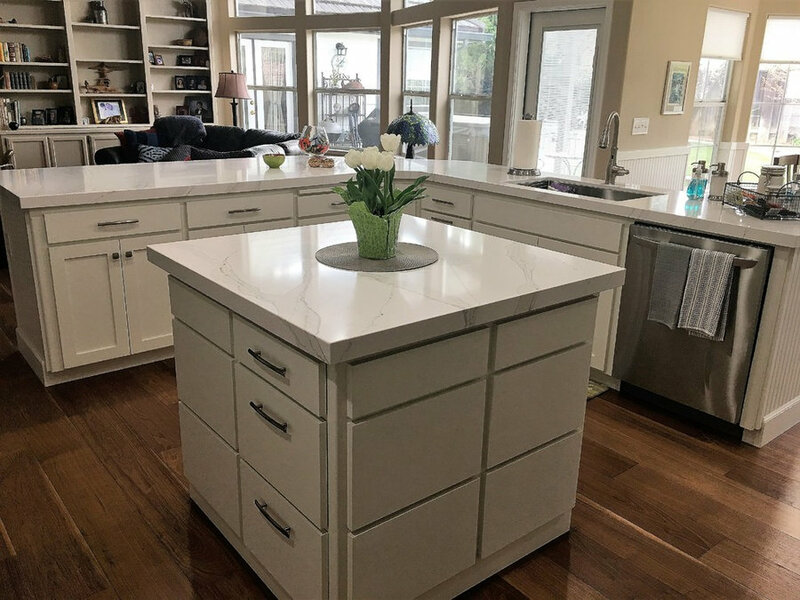 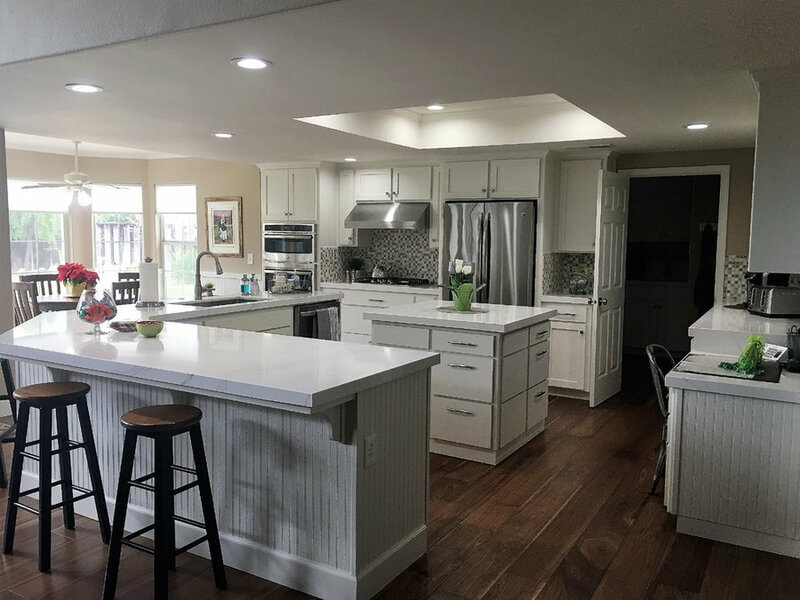 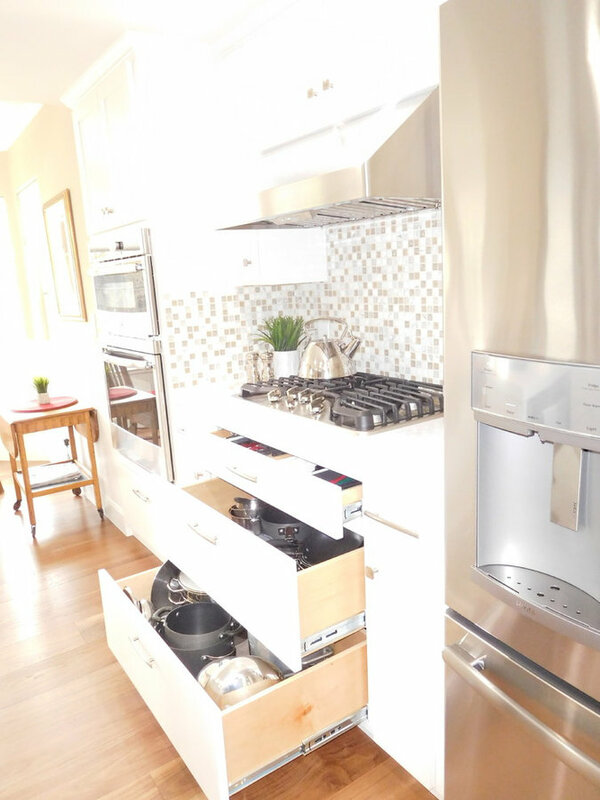 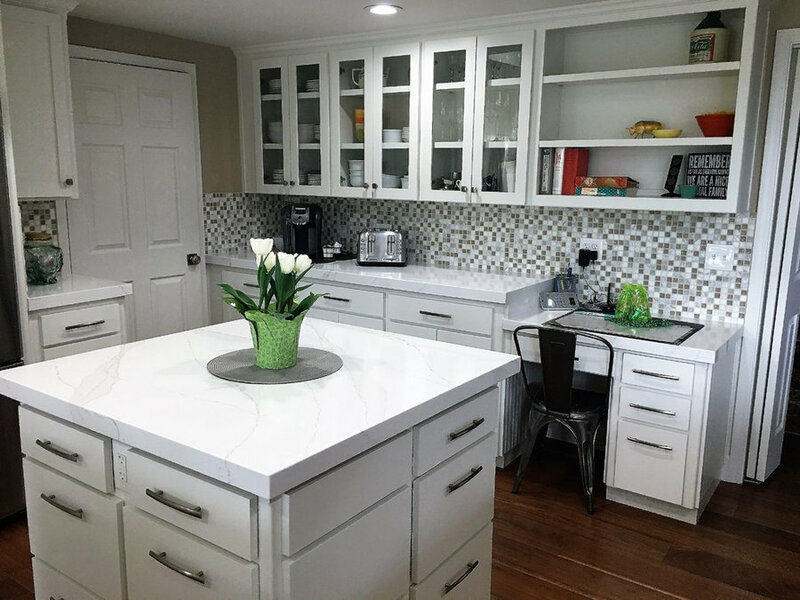 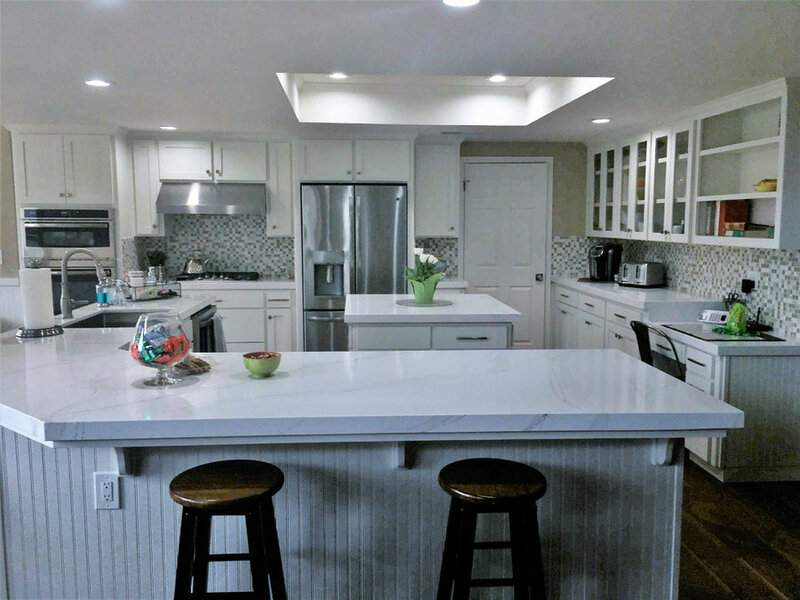 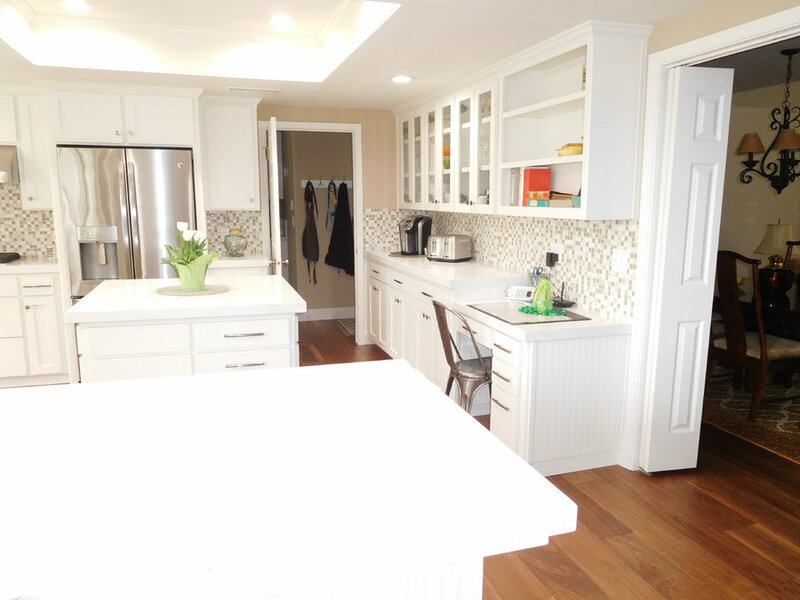 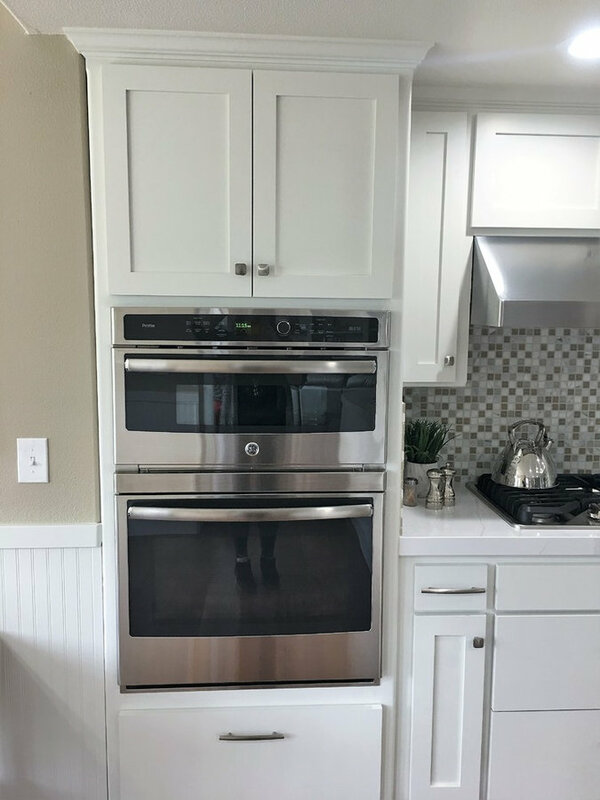 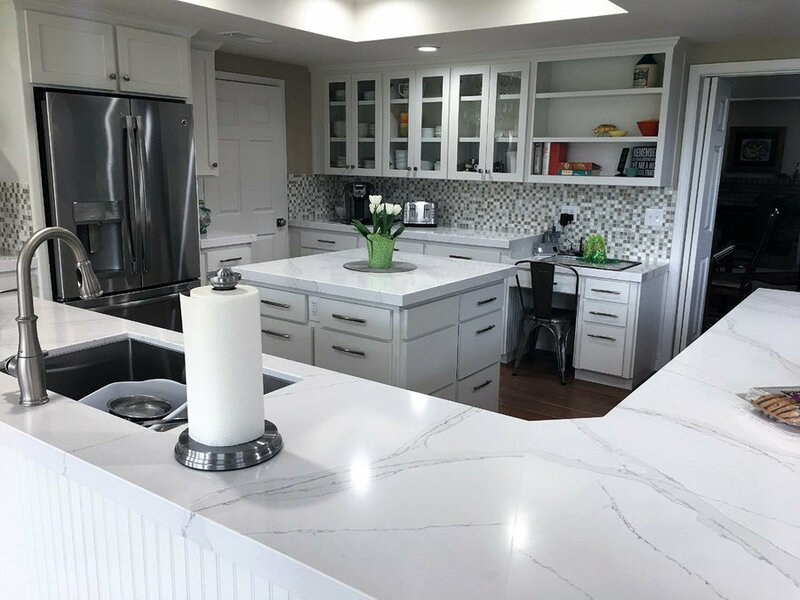 White Cabinets with Shaker style doors. 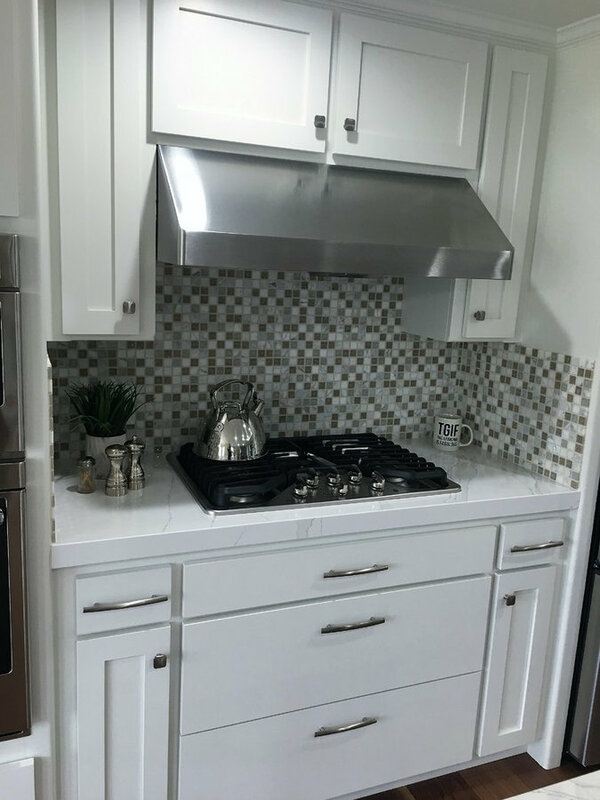 Quartz counter tops, tiled back splash, center island, stainless steel appliances. 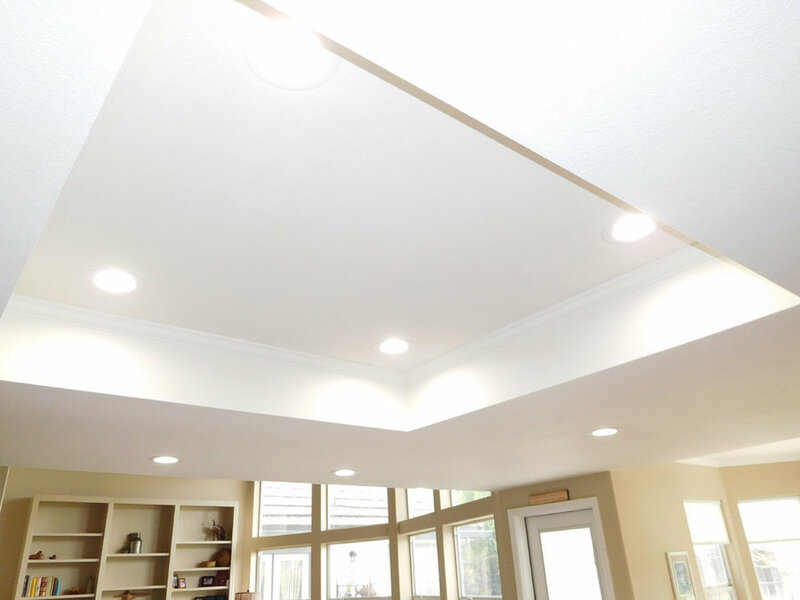 Raised ceiling in the center and added canned lighting. 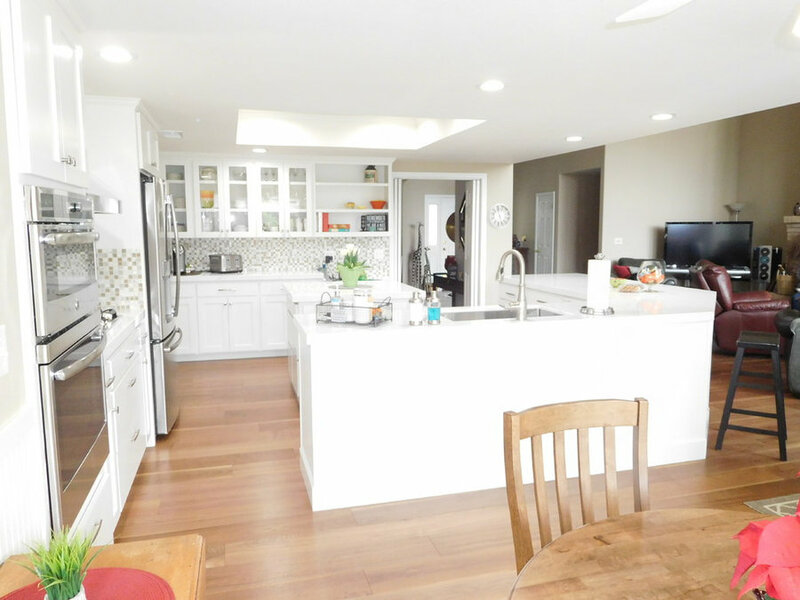 New walnut wood floors.